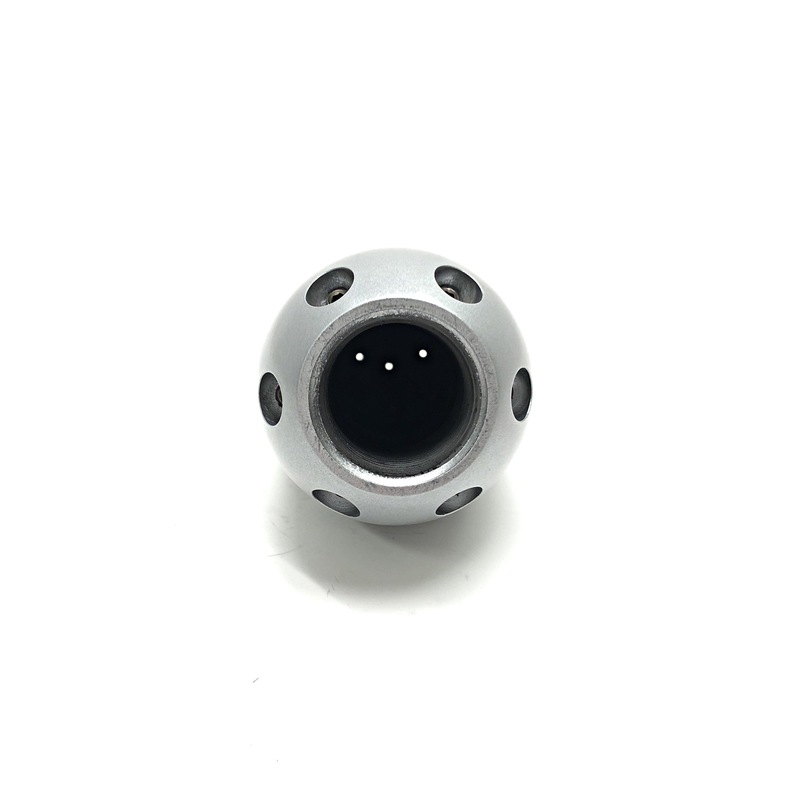 A Shamrock ☘️ decided to show up to the photo shoot today. 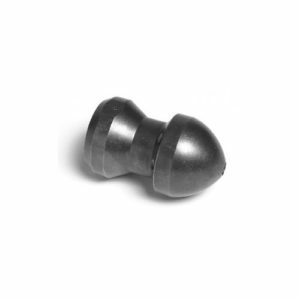 I spy with my little eyes, one row that doesn’t want to comply. 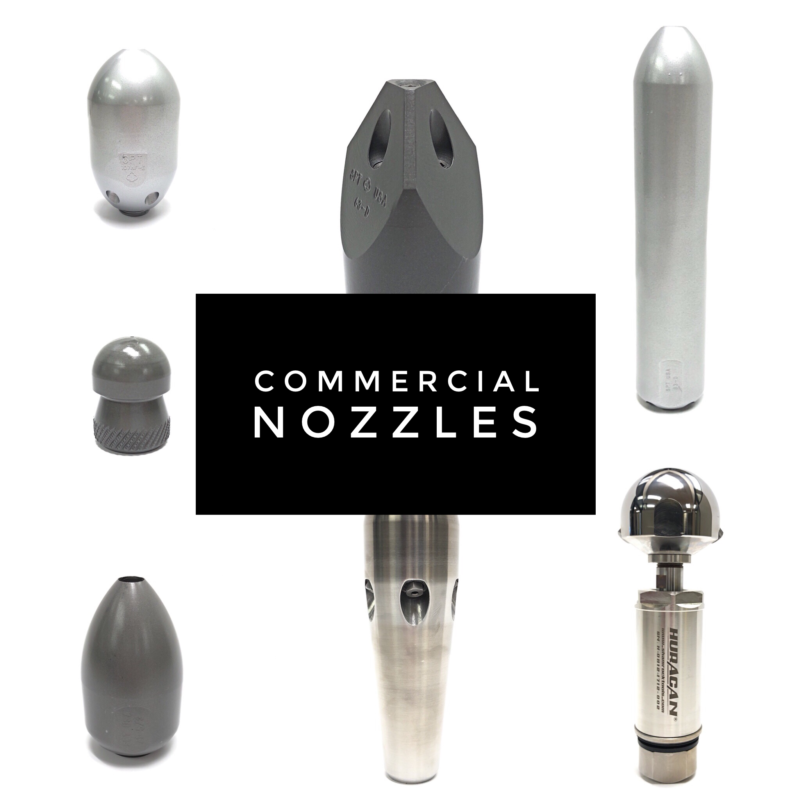 Need a nozzle? 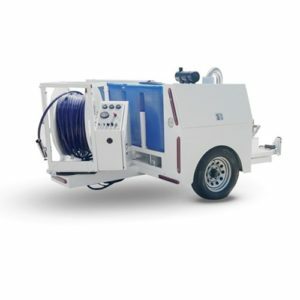 Tell us what you’re cleaning and we will help. 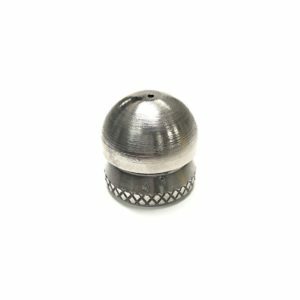 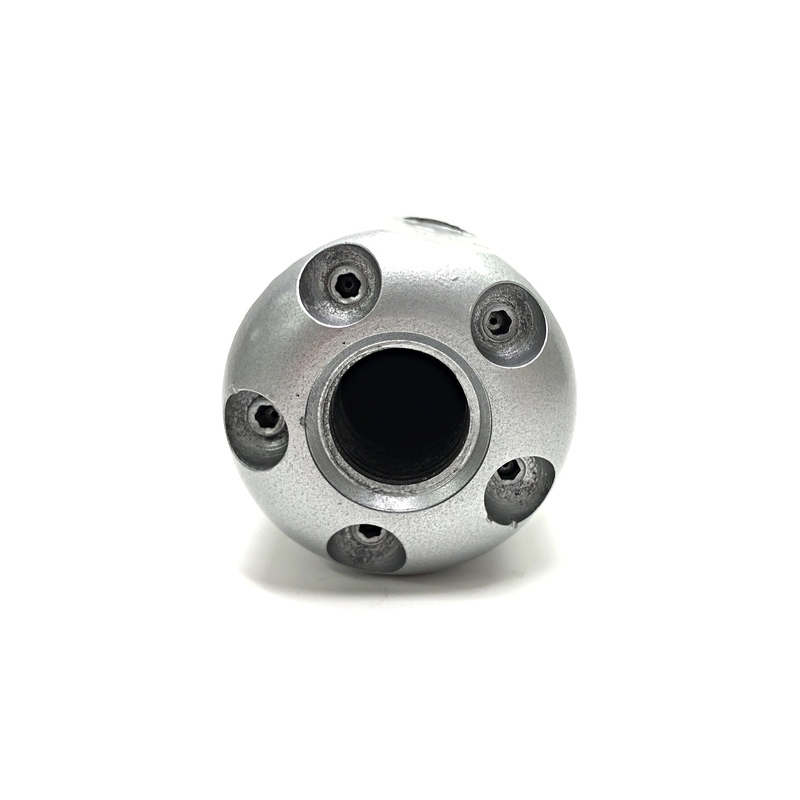 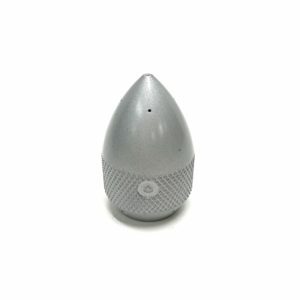 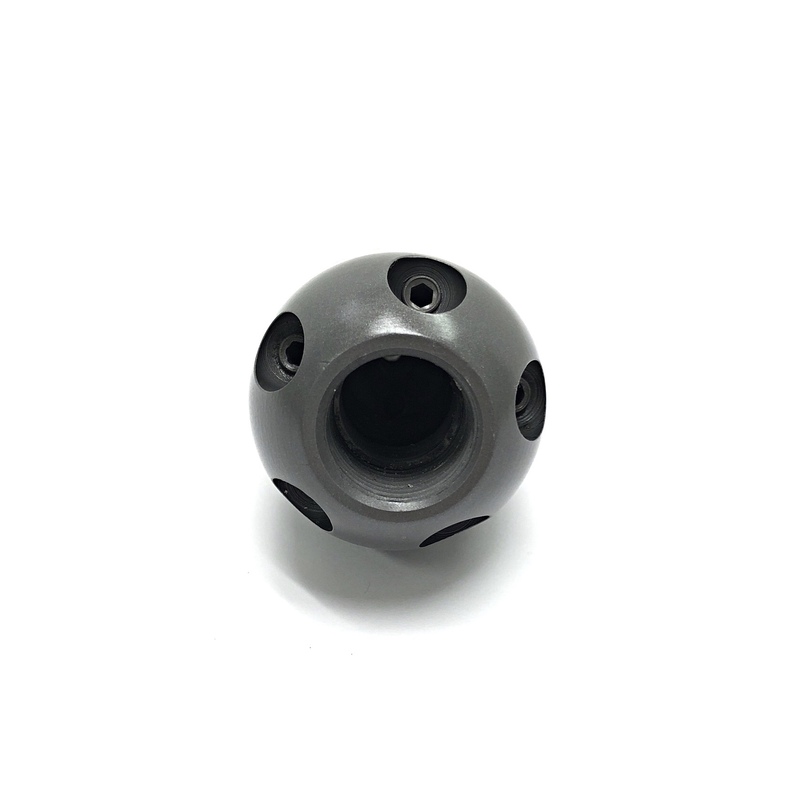 The 3/8" Ball Nozzle by Shamrock is a short nozzle with recessed threads for hard-to-reach places or to negotiate bends, turns and protrusions. 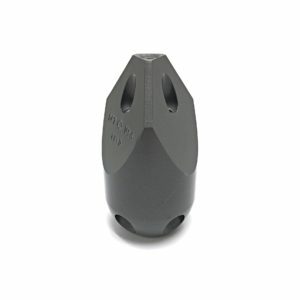 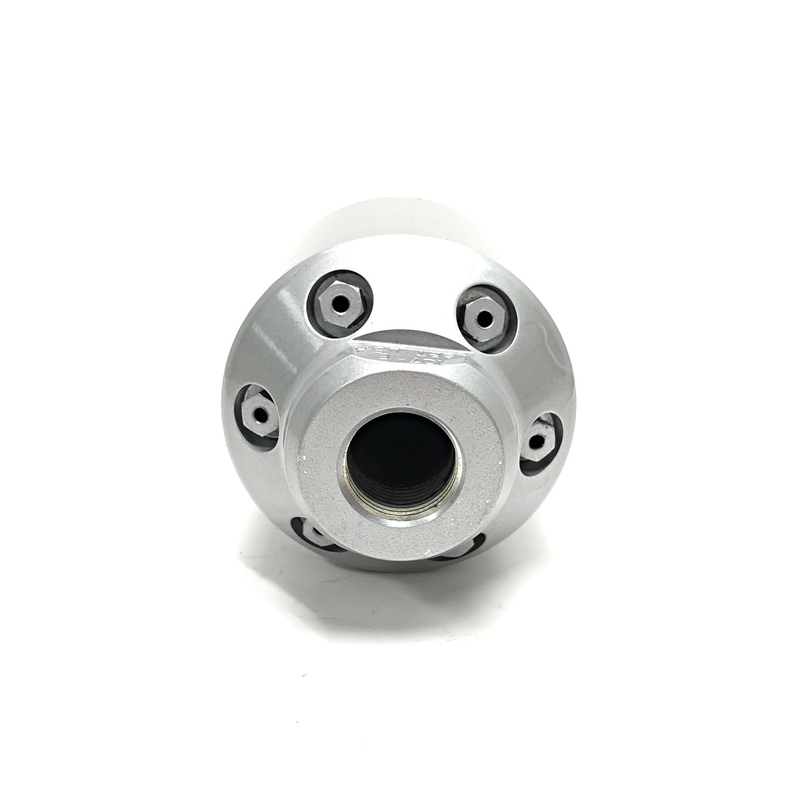 The 3/8" Penetrator Nozzle by Shamrock has a bullet style design for greater thrusts to push and penetrate blockages. 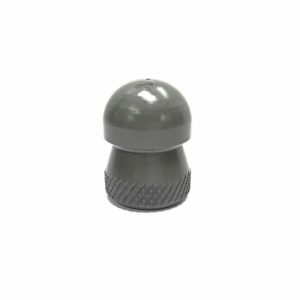 The 3/8" Button Nozzle by Shamrock is a general purpose flushing nozzle designed for turns and bends in sanitary lines. 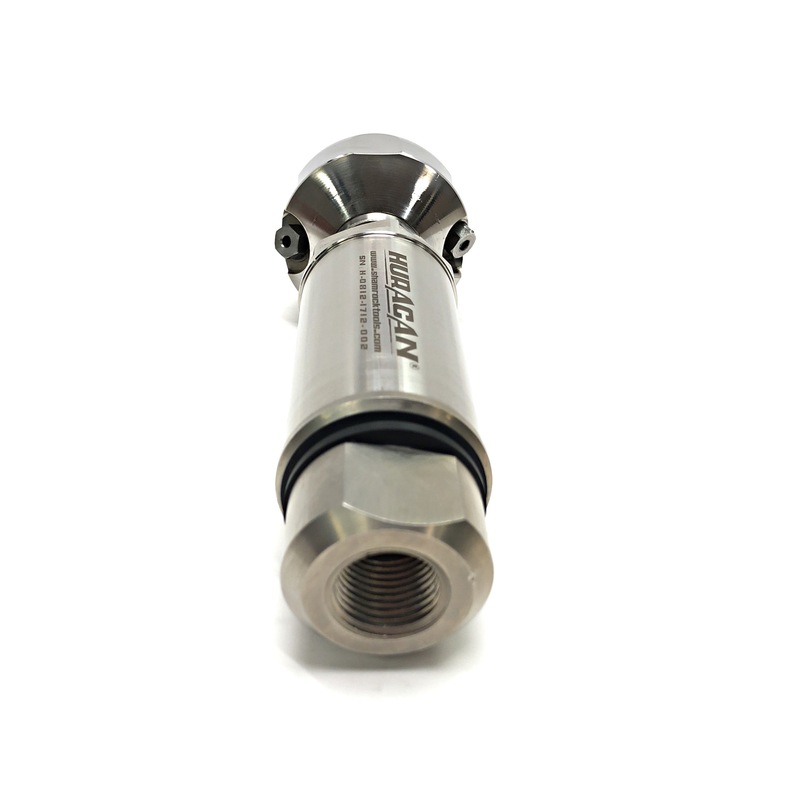 The 1/4" Rotator Nozzle by Shamrock completely cleans pipes, freeing grease, roots and fibers. 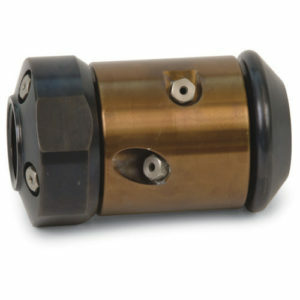 Must have for contractors with regular maintenance contracts. 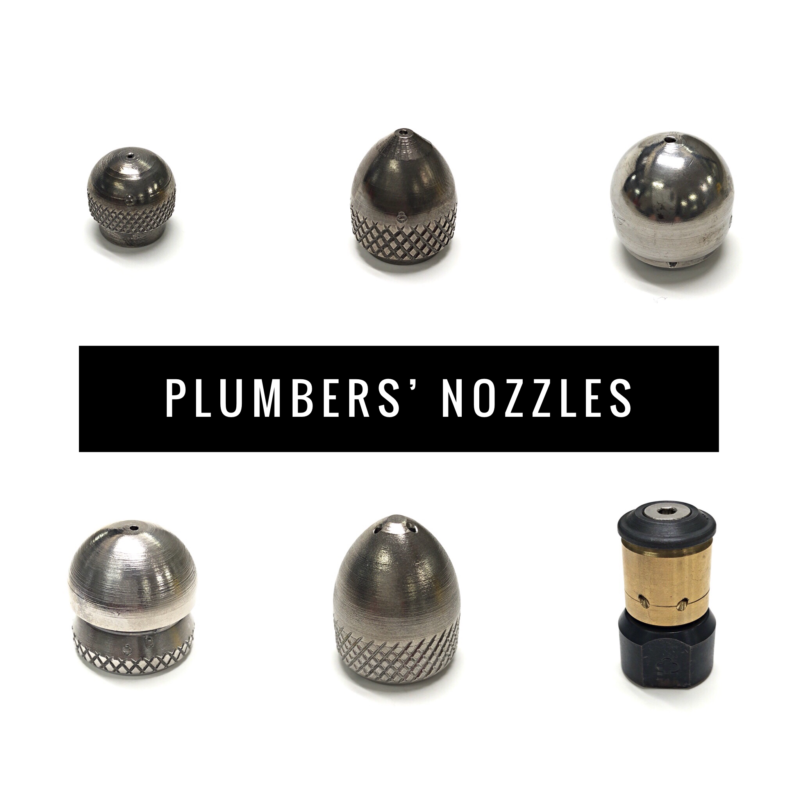 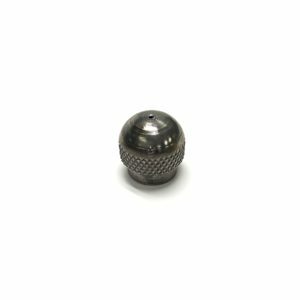 The 1/8" Ball Nozzle by Shamrock is a short nozzle with recessed threads for hard-to-reach places or to negotiate bends, turns and protrusions. The 1/8" Short Nozzle by Shamrock is a general purpose nozzle used for small drains and turns. 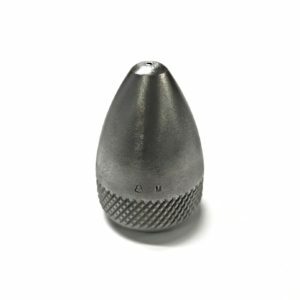 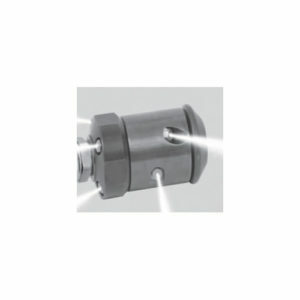 The 1/4" Penetrator Nozzle by Shamrock has a bullet style design for greater thrusts to push and penetrate blockages. 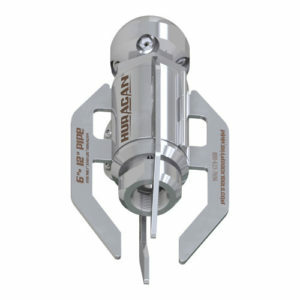 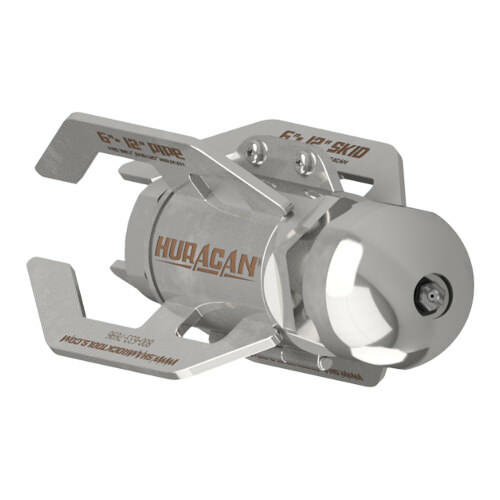 The 1/2" Huracan® is a slow rotating nozzle which allows for a thorough cleaning of any pipe. 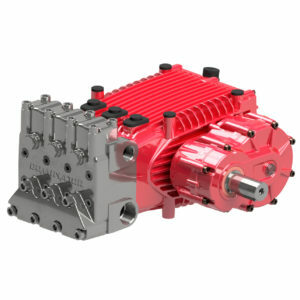 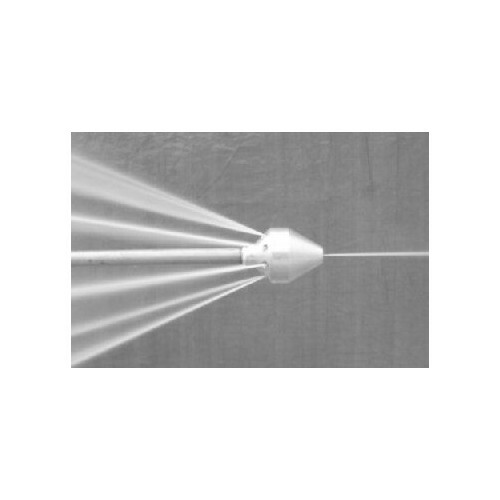 Internal dampening fluid is used to allow a controlled rotation. 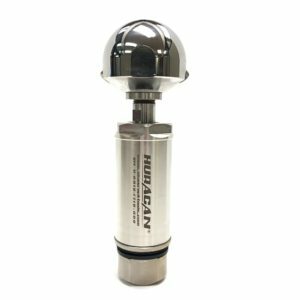 The 1/2" High Flow Cobia® Nozzle from Shamrock is a multi-purpose nozzle used to clear sludge, mud and debris from the pipe bottom. The 1/2" Ultimate Penetrator by Shamrock is the original penetrating nozzle which combines high flow and weight. 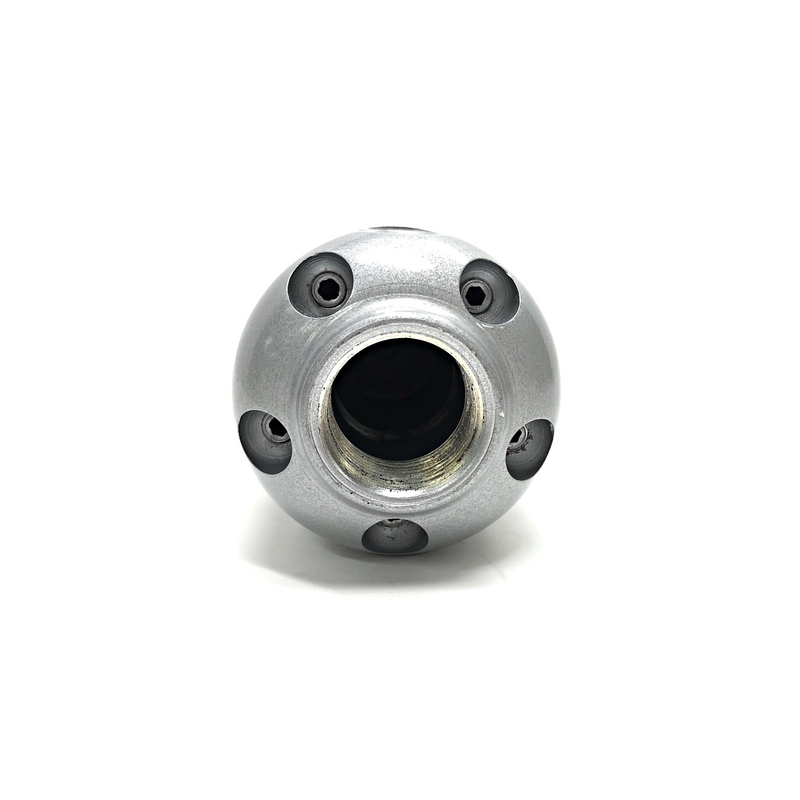 The 1/2" Super Grenade Penetrator Nozzle by Shamrock is a bullet-style, heavy-duty nozzle for mainline work used to break up obstructions. 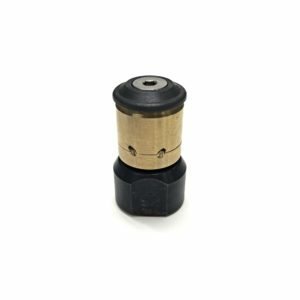 The 1/2" Button Nozzle by Shamrock is a general purpose flushing nozzle designed for turns and bends in sanitary lines. 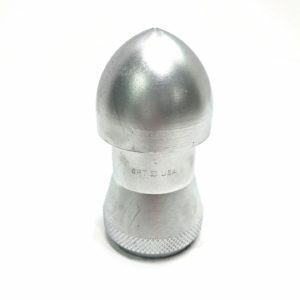 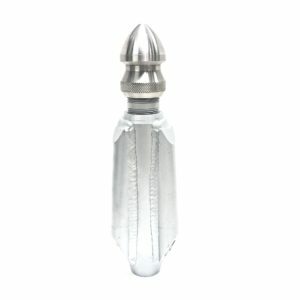 The 1/2" Ice Grease Penetrator Nozzle by Shamrock is a bullet style nozzle designed for greater thrust and penetration. 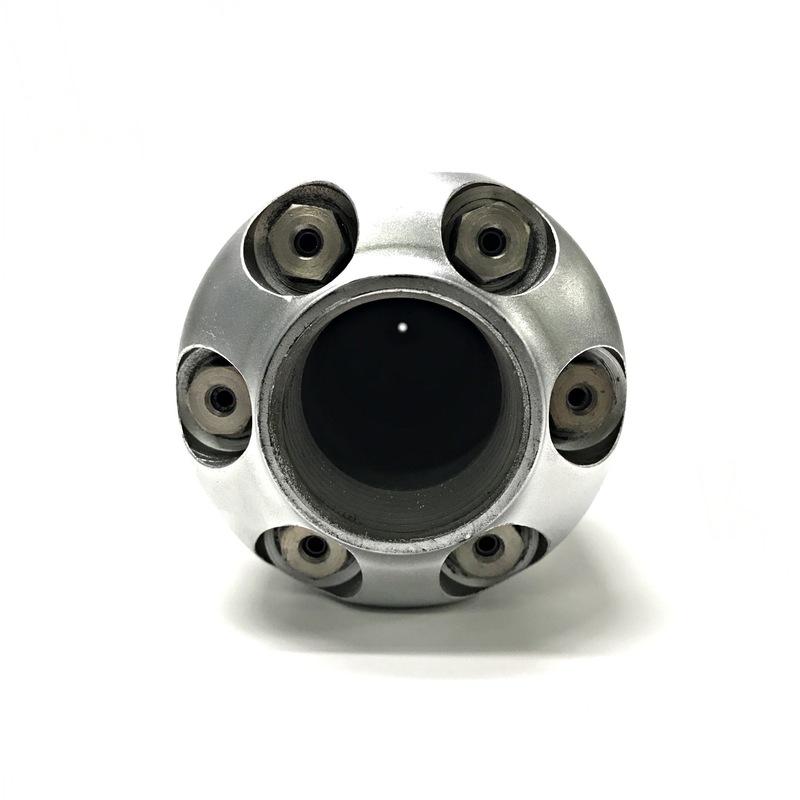 The 1/2" Rotator Nozzle by Shamrock features a dual application design to effectively clean small sewer pipes (4-12") and P-traps as small as 4". 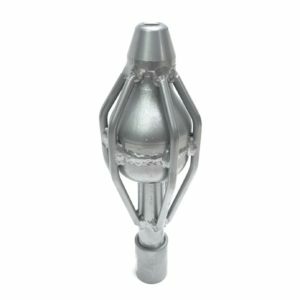 The 1" Cobia® Nozzle by Shamrock is a heavy duty, multipurpose nozzle designed to clear sludge, mud and debris from the pipe bottom. 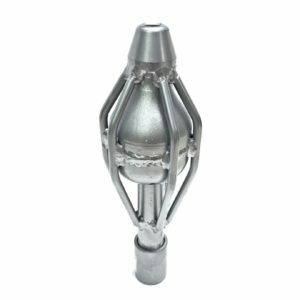 The 1-1/4" Cobia® Nozzle by Shamrock is a heavy duty, multipurpose nozzle designed to clear sludge, mud and debris from the pipe bottom. 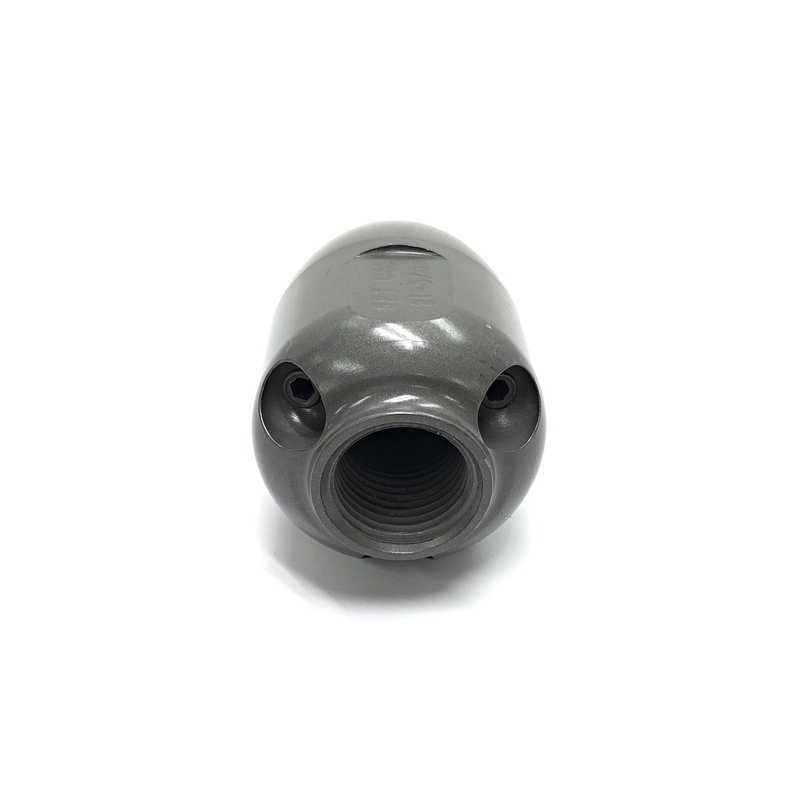 The 1" Tadpole® Nozzle by Shamrock is a sweep steel skid nozzle that is pressure-welded and designed to flush mid-to large size pipe. 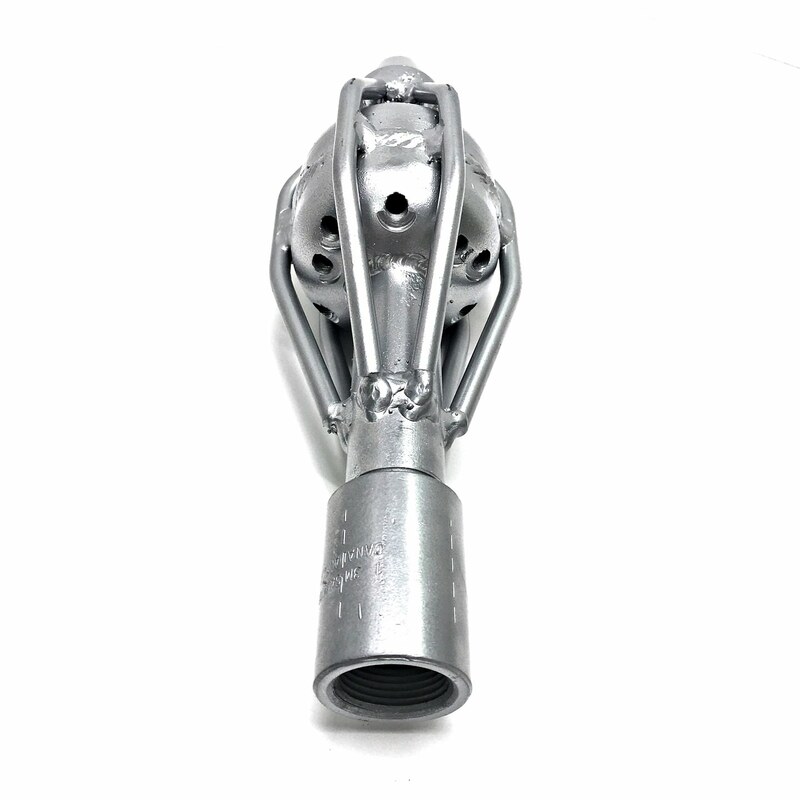 The 1" Sand & Sludge Nozzle by Shamrock is a light nozzle machined from aluminum alloy. 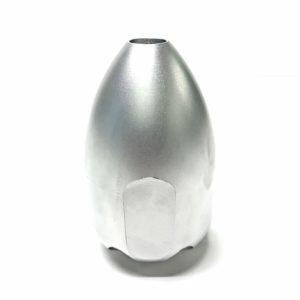 It is engineered to ride on top of debris to get up a line quickly. 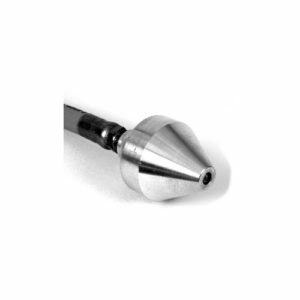 The 1" Radial Vortex Nozzle by Shamrock is a cleaning nozzle which uses different jet angles for a more efficient scrubbing action. 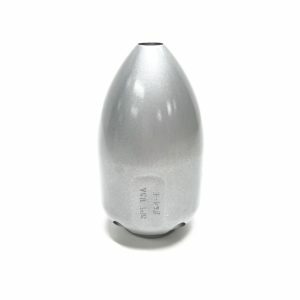 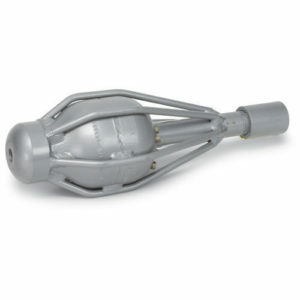 The 1" Mini-Tadpole™ by Shamrock is a sweep steel skid nozzle designed to flush mid to large size pipe. 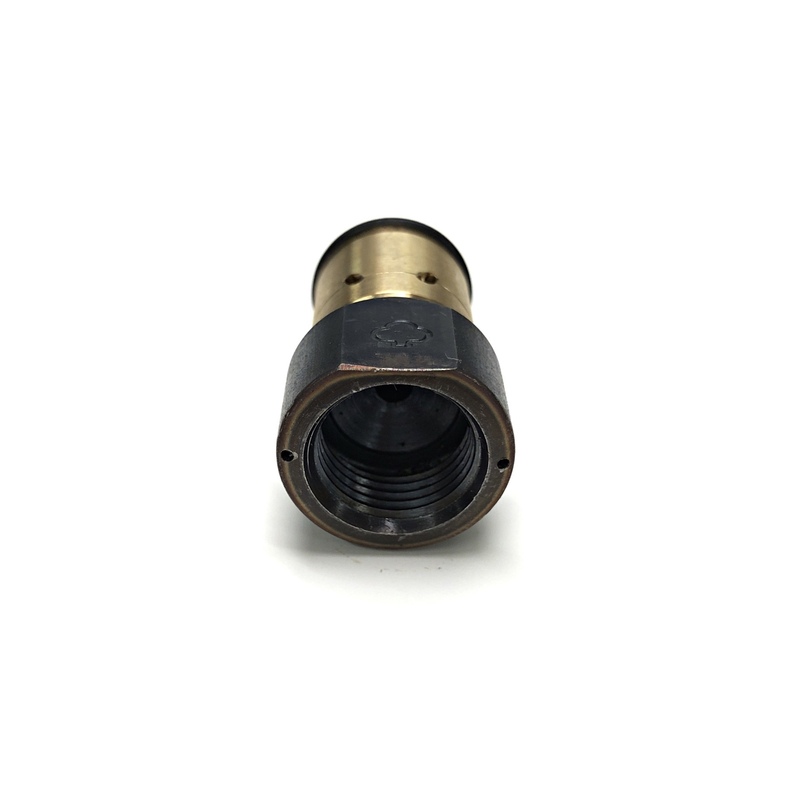 The 1-1/4" Little Shamrock™ is a sweep steel skid nozzle designed to flush large size pipe. 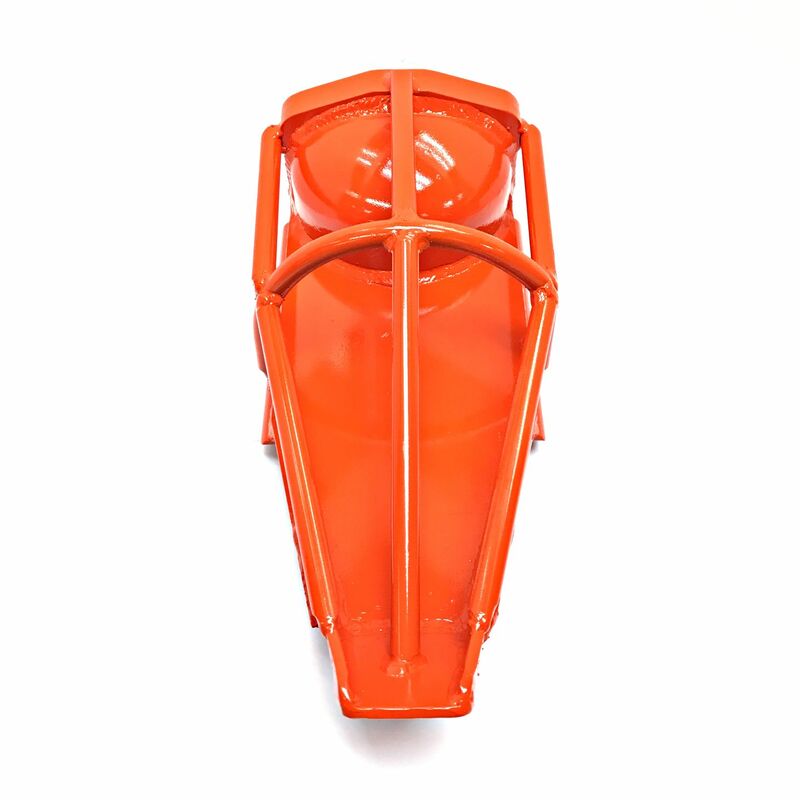 The 1-1/4" Boat Nozzle by Shamrock outperforms the competition when it comes to cleaning sand, silt and debris from waste water lines. 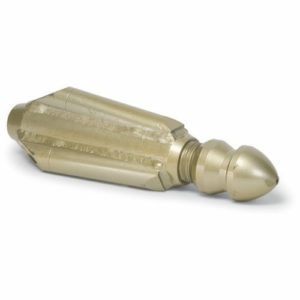 The 1-1/2" Ultimate Penetrator by Shamrock is the original penetrating nozzle which combines high flow and weight. 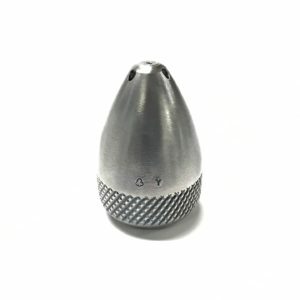 The 1-1/4" Ultimate Penetrator by Shamrock is the original penetrating nozzle which combines high flow and weight. 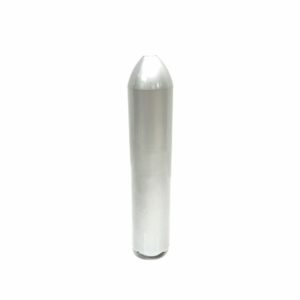 The 1" Ultimate Penetrator by Shamrock is the original penetrating nozzle which combines high flow and weight. 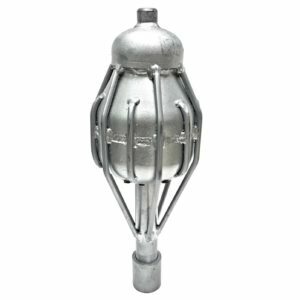 The 1-1/4" Super Grenade Penetrator Nozzle by Shamrock is a bullet-style, heavy-duty nozzle for mainline work used to break up obstructions. The 1" Super Grenade Penetrator Nozzle by Shamrock is a bullet-style, heavy-duty nozzle for mainline work used to break up obstructions. 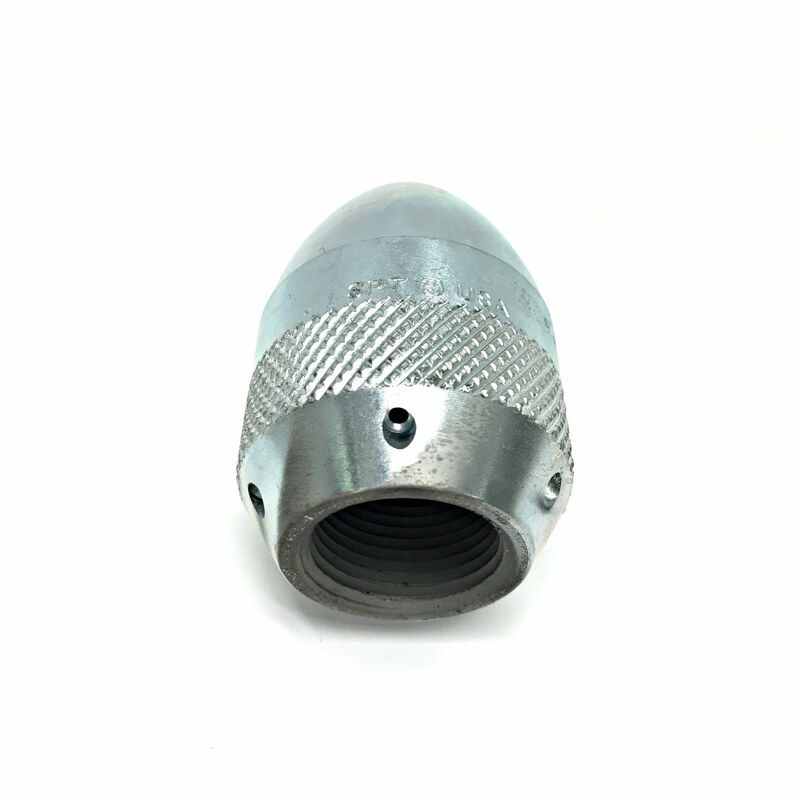 The 1-1/4" SHAMROCK-ET® by Shamrock creates a path for large flushing nozzles or penetrates hair masses, root masses, hard grease, sand and gravel. 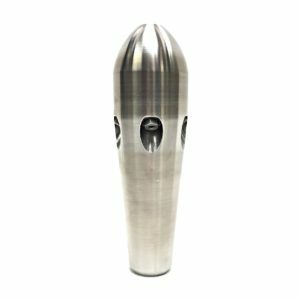 The SHAMROCK-ET® by Shamrock creates a path for large flushing nozzles or penetrates hair masses, root masses, hard grease, sand and gravel. 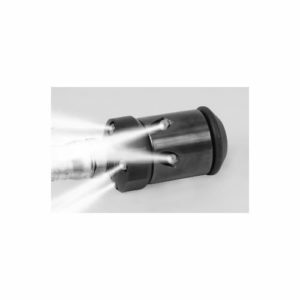 The 1" Universal Penetrator Nozzle from Shamrock is used to tackle root fibers, hard grease and other blockages. 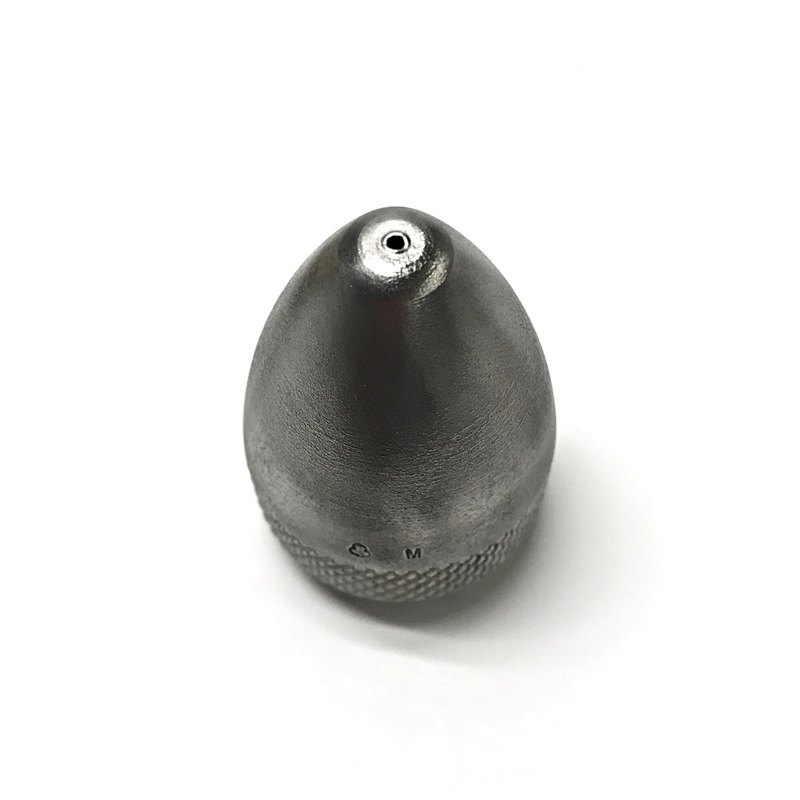 The 1" Un-Stopper by SRECO-Flexible is designed with a tip having varied orifices to provide flow to penetrate stoppages and dislodge particles. 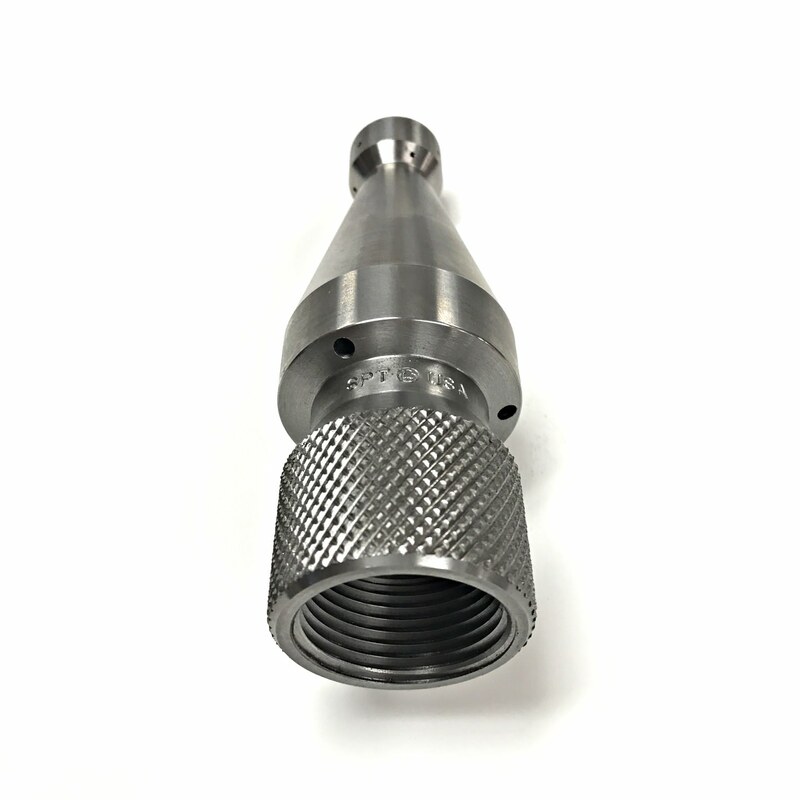 The 1" Tristar Chisel Nozzle by Shamrock is a great front penetrating nozzle for boring through blockages or blocked lines. 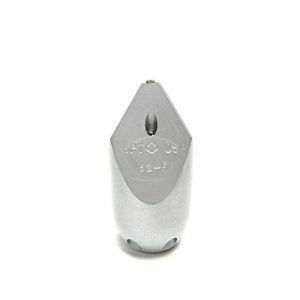 The 1" 30◦ Grease Nozzle by Shamrock is a smooth, streamlined nozzle designed to penetrate and clear blockages. 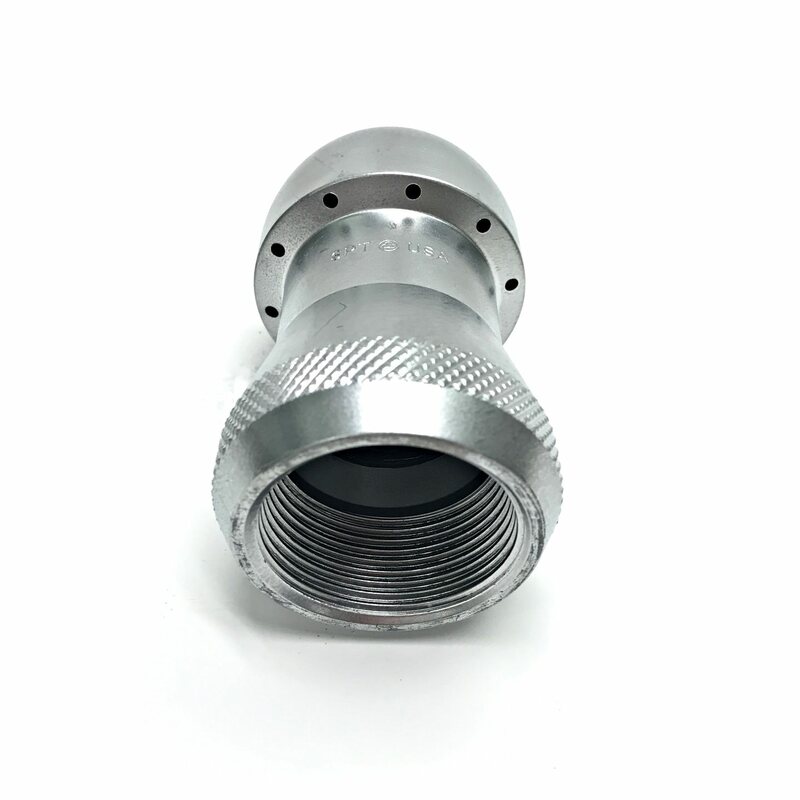 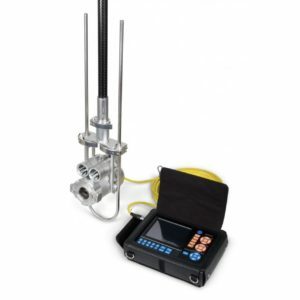 It is perfect for pipes with steeper grades. 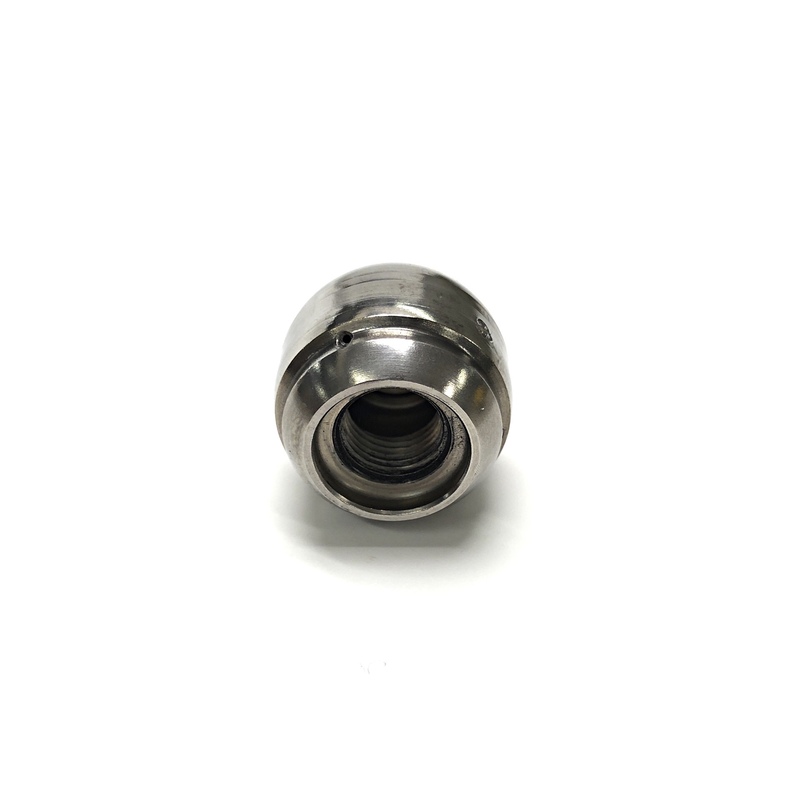 The 1" 18◦ Grease Nozzle by Shamrock is a smooth, streamlined nozzle designed to penetrate and clear blockages. 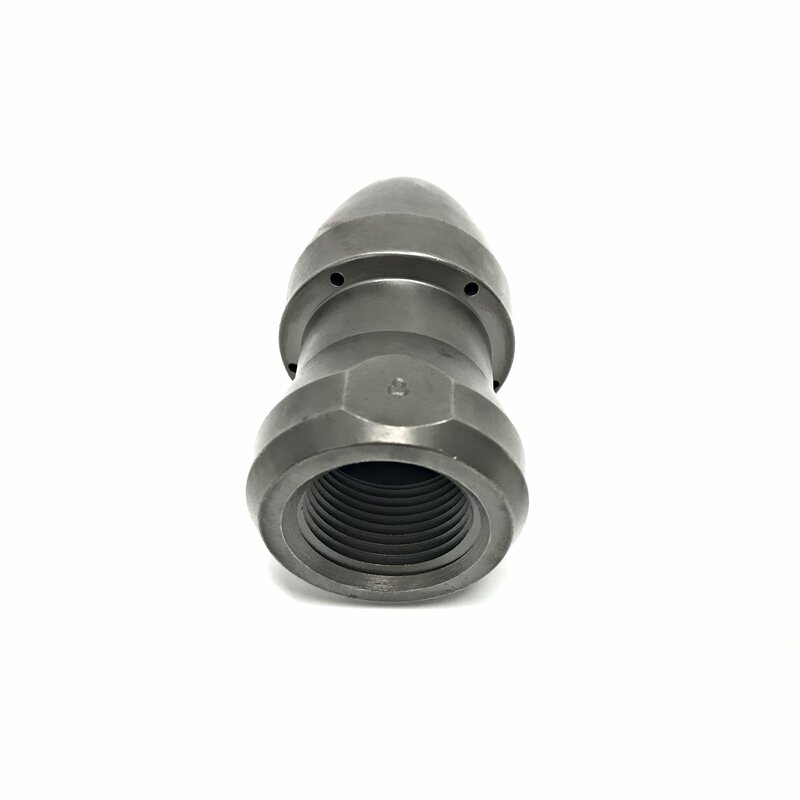 It is perfect for pipes with steeper grades. 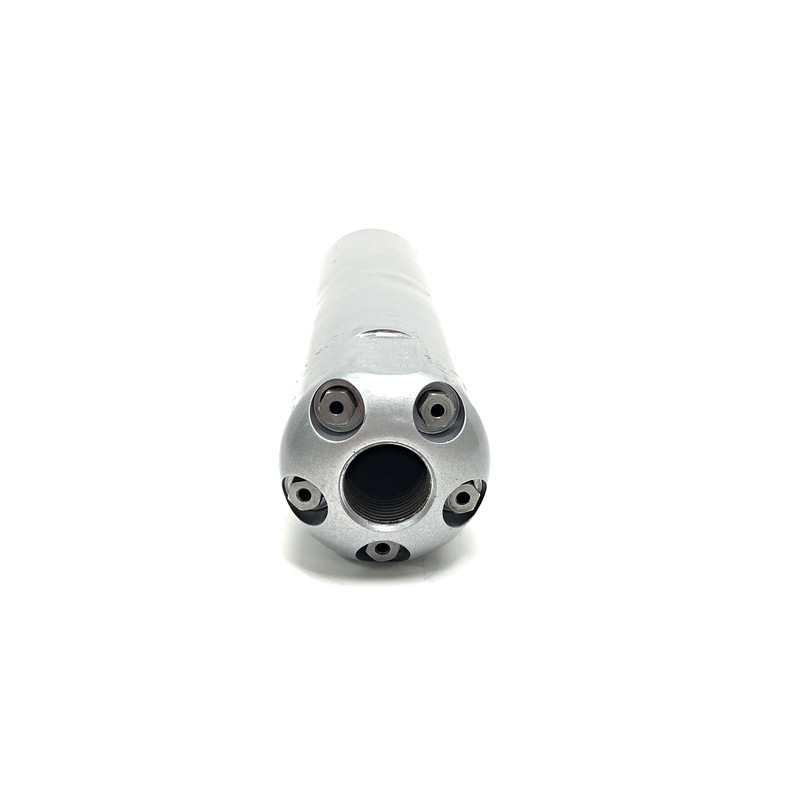 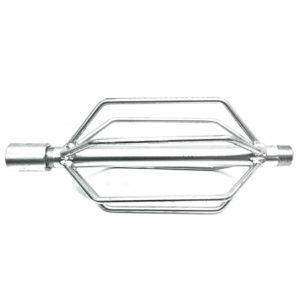 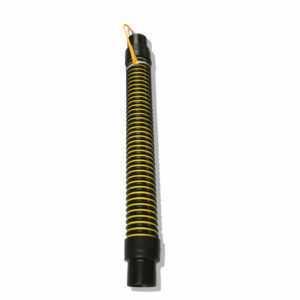 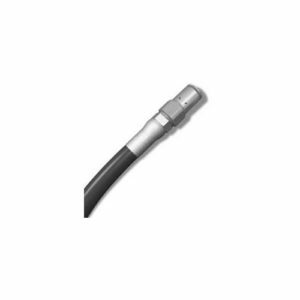 The 3/4" Un-Stopper by SRECO-Flexible is designed with a tip having varied orifices to provide flow to penetrate stoppages and dislodge particles. 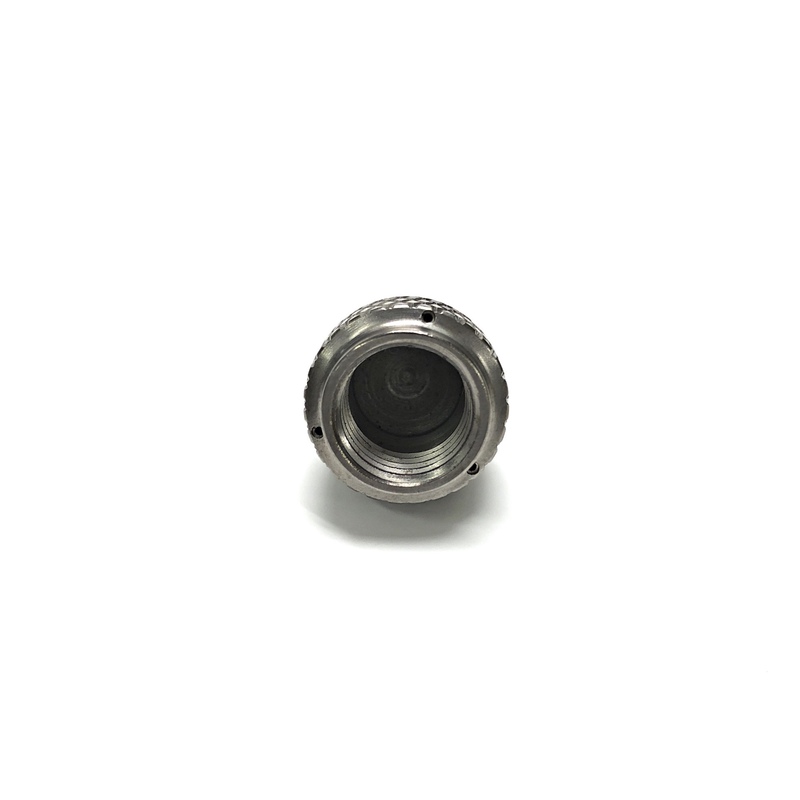 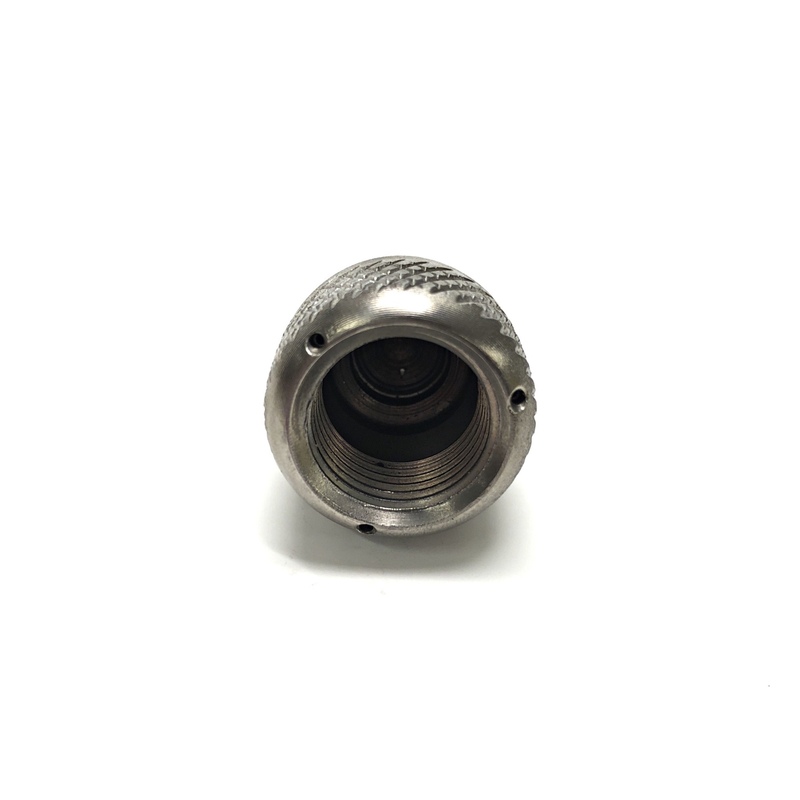 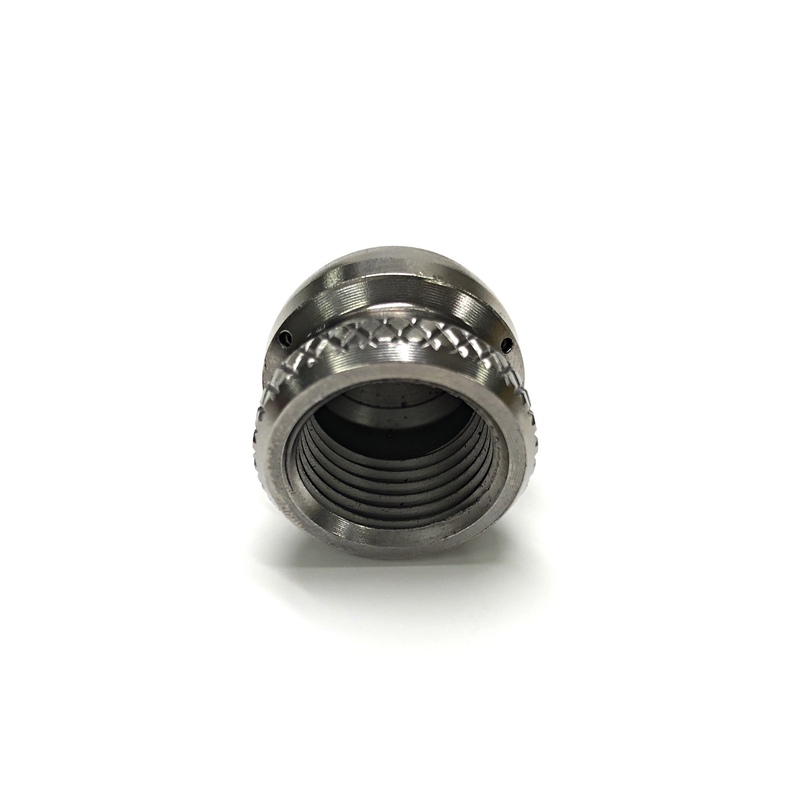 The 3/4", 1" Radial C Nozzle by Shamrock is a long lasting, hard impacting sewer nozzle. 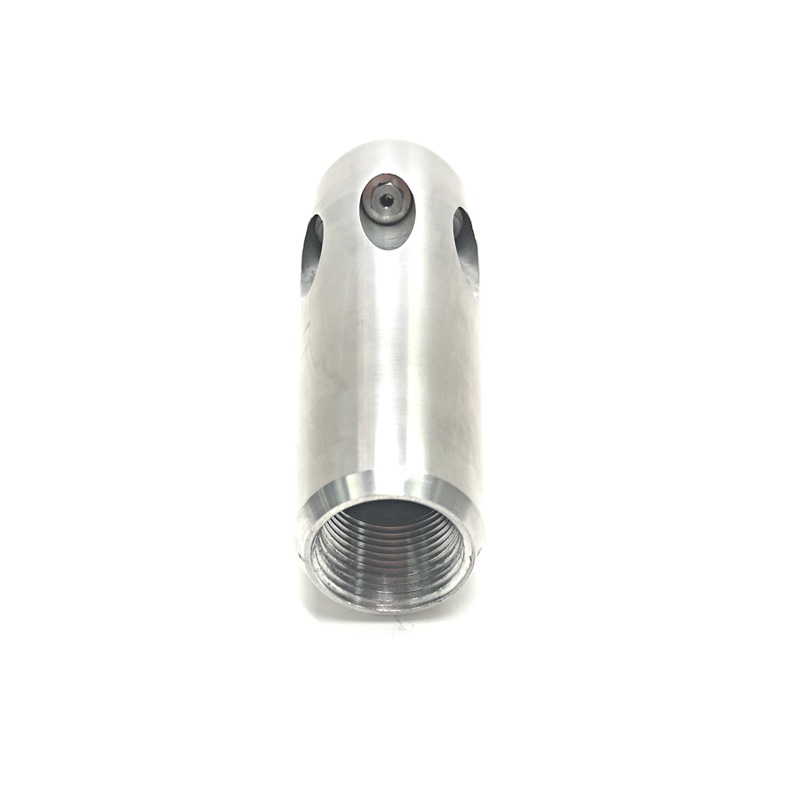 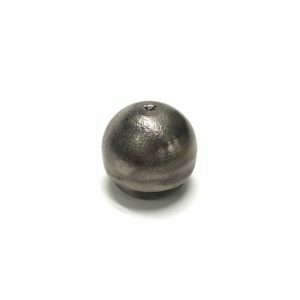 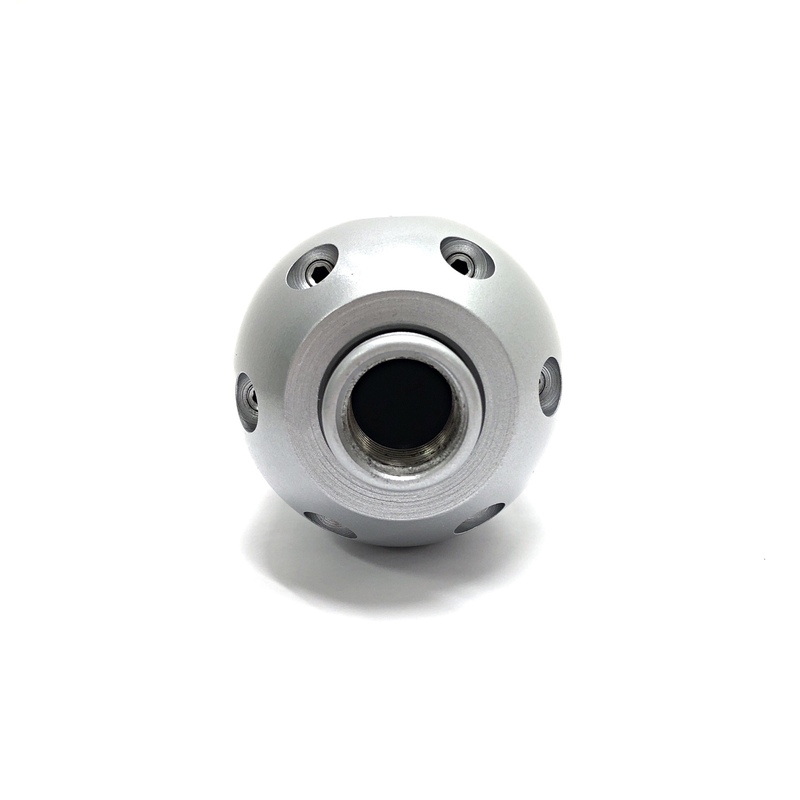 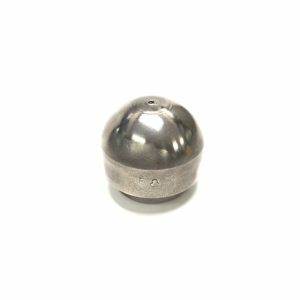 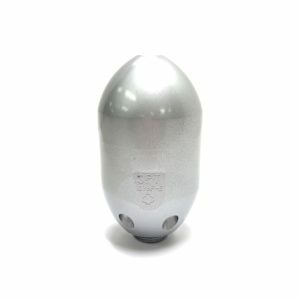 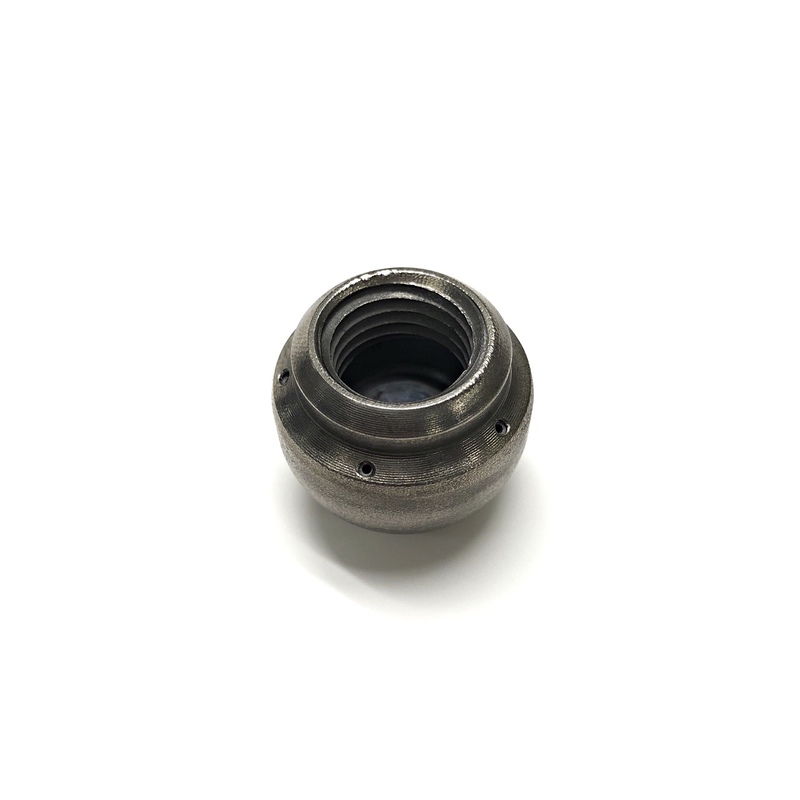 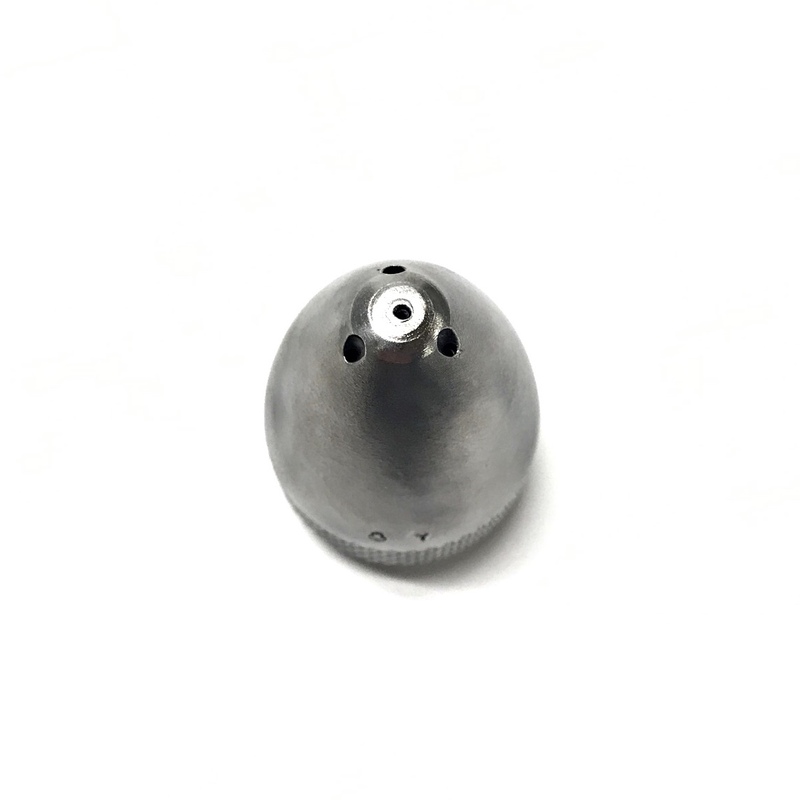 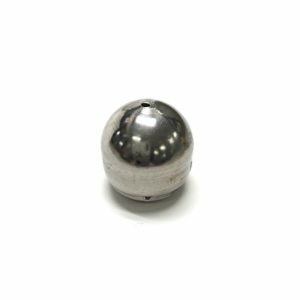 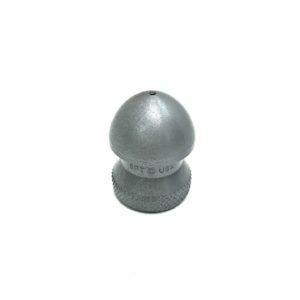 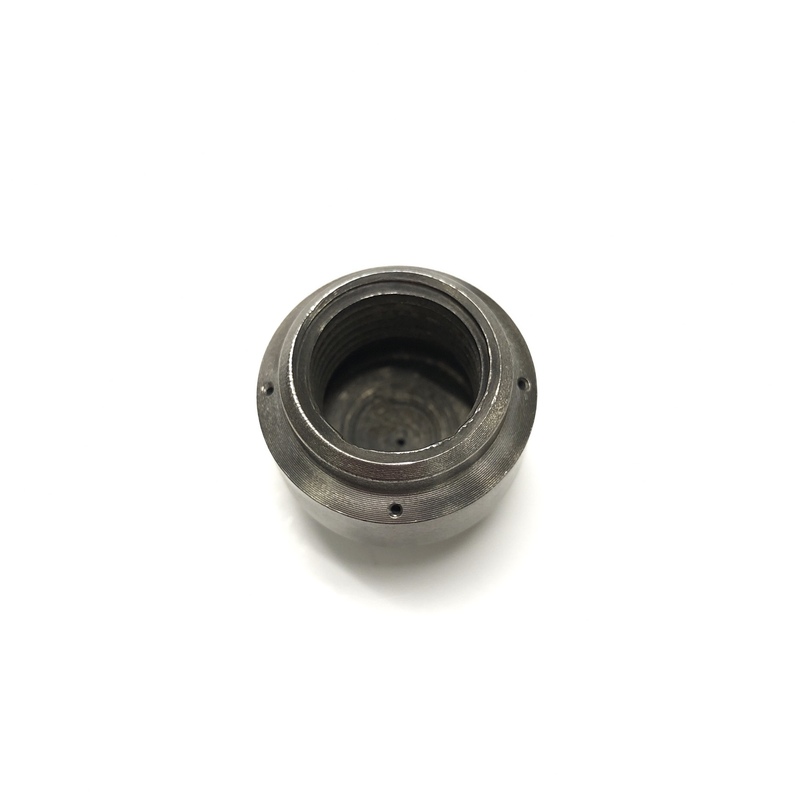 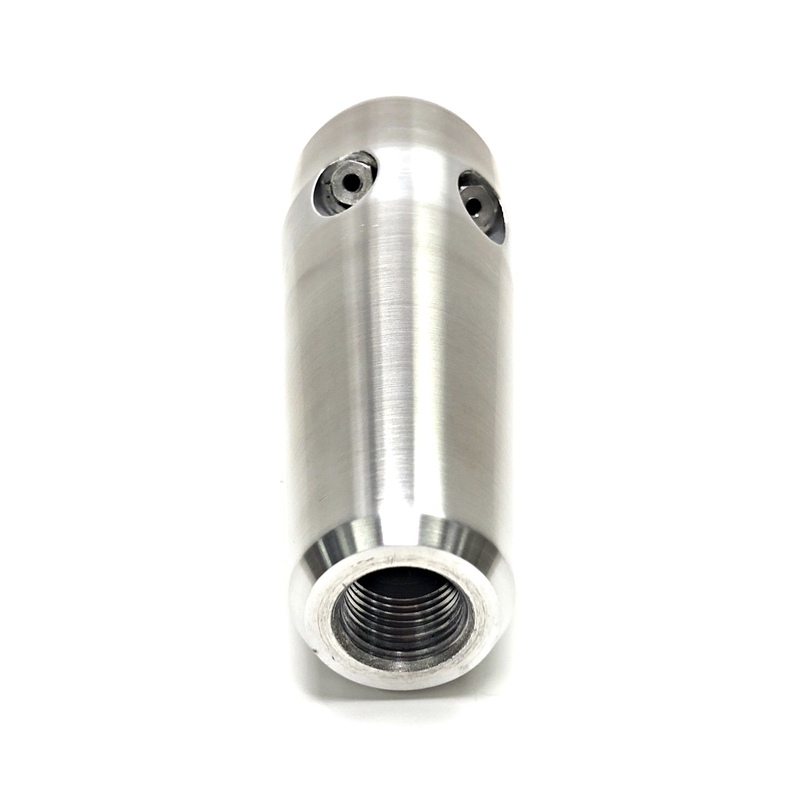 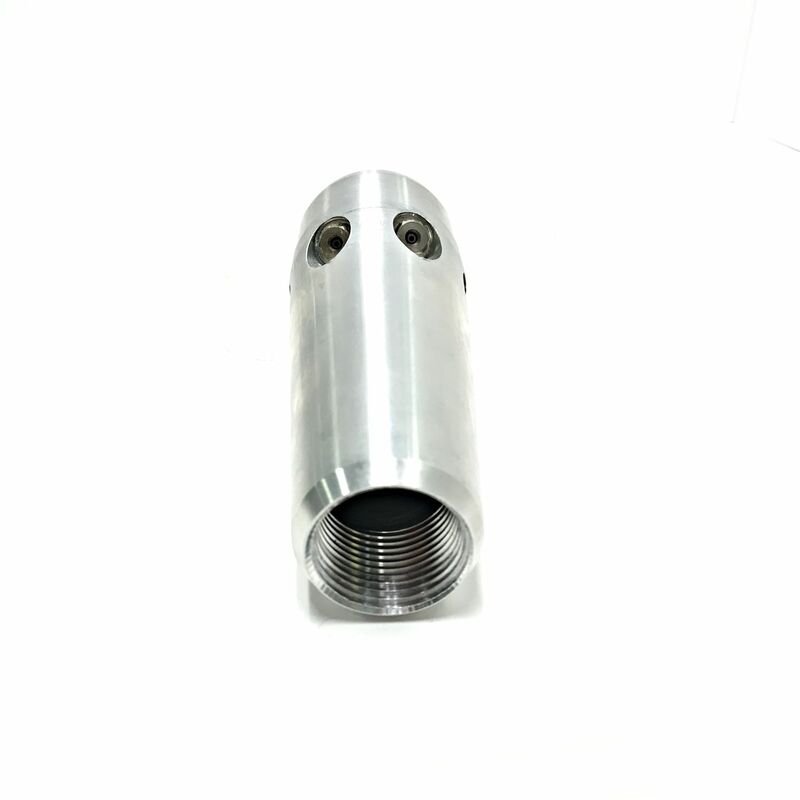 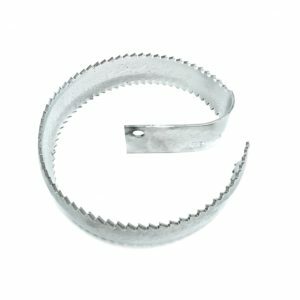 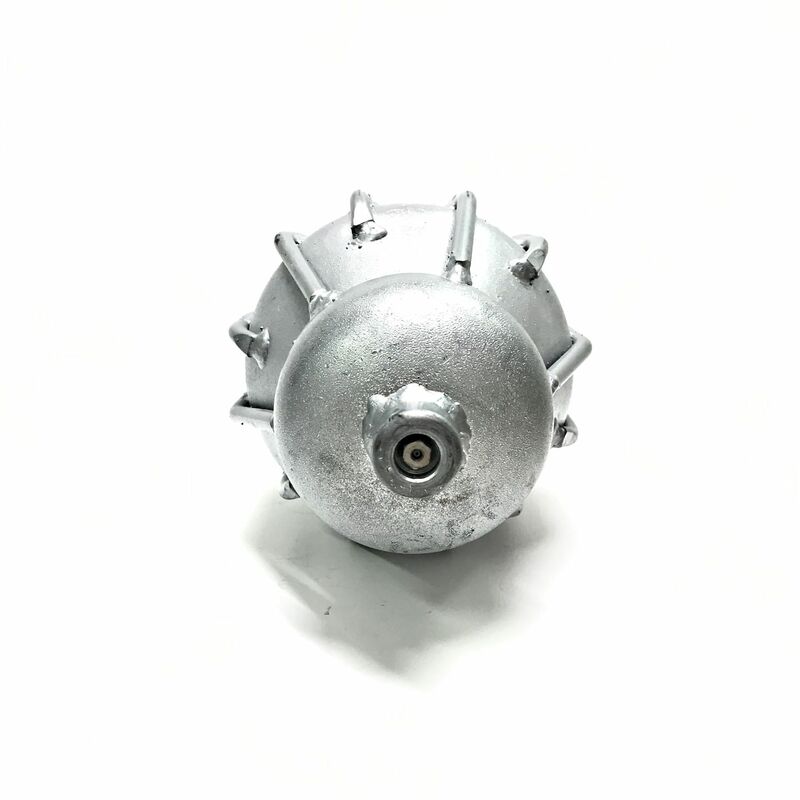 It is machined from heat treated alloy steel and has eight carbide jets. 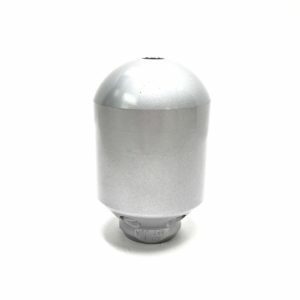 The 1" Little Shamrock™ is a sweep steel skid nozzle designed to flush large size pipe. 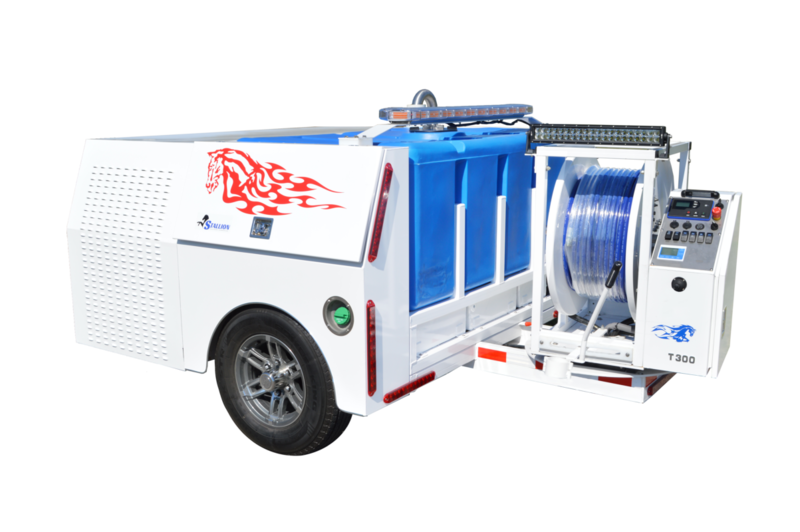 The Rear Rotating Combi Blaster™ by Shamrock has two rear spraying, rotating water jets which impact the pipe wall at 40° while two jets impact at 90° to loosen sidewall buildup and debris. 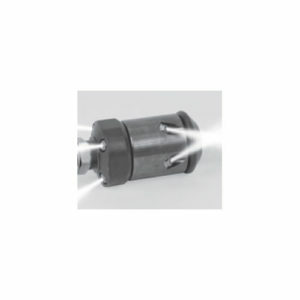 The Forward Spray Rotating Blaster™ by Shamrock has four forward spraying, rotating water jets which impact the pipe wall at 40°. 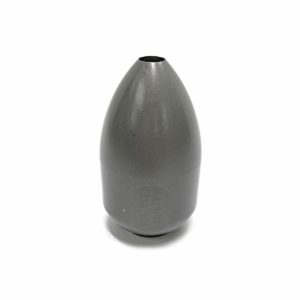 The 3/4" Mini-Tadpole™ by Shamrock is a sweep steel skid nozzle designed to flush mid to large size pipe. 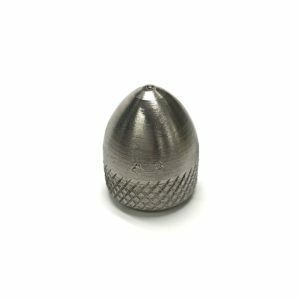 The 3/4" Tadpole® Nozzle by Shamrock is a sweep steel skid nozzle that is pressure-welded and designed to flush mid-to large size pipe. 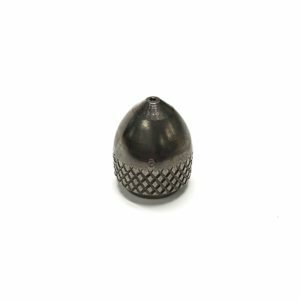 The 3/4" Cobia® Nozzle by Shamrock is a heavy duty, multipurpose nozzle designed to clear sludge, mud and debris from the pipe bottom. 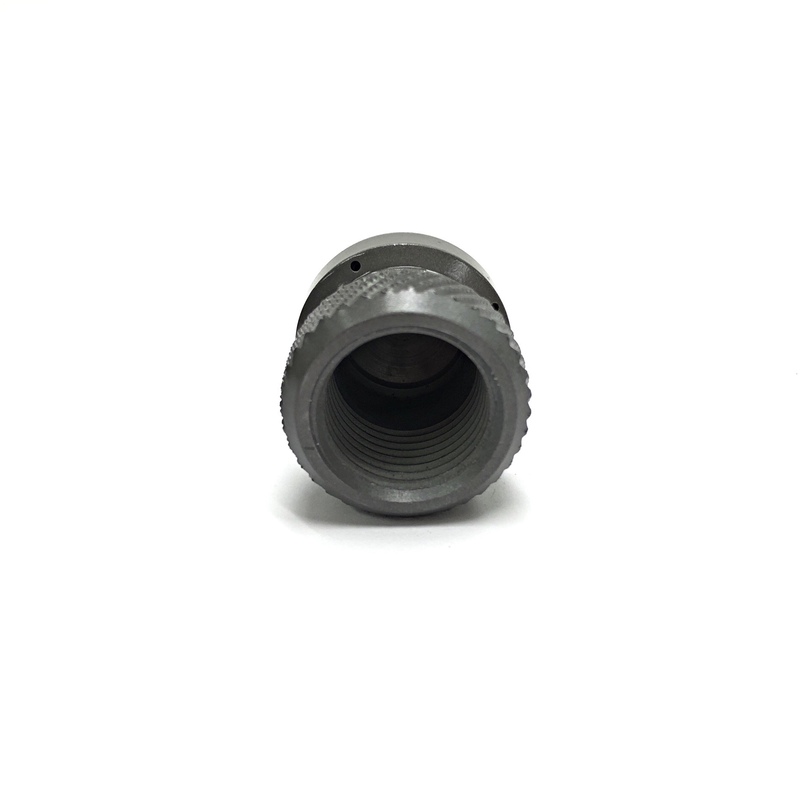 The 1" Contractor Special by Shamrock is a Sand & Sludge Nozzle with twelve triple degree rear jets (10°/17°/24°). 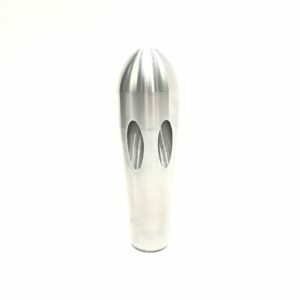 The 3/4" Sand & Sludge Nozzle by Shamrock is a light nozzle machined from aluminum alloy. 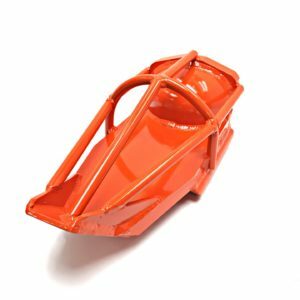 It is engineered to ride on top of debris to get up a line quickly. 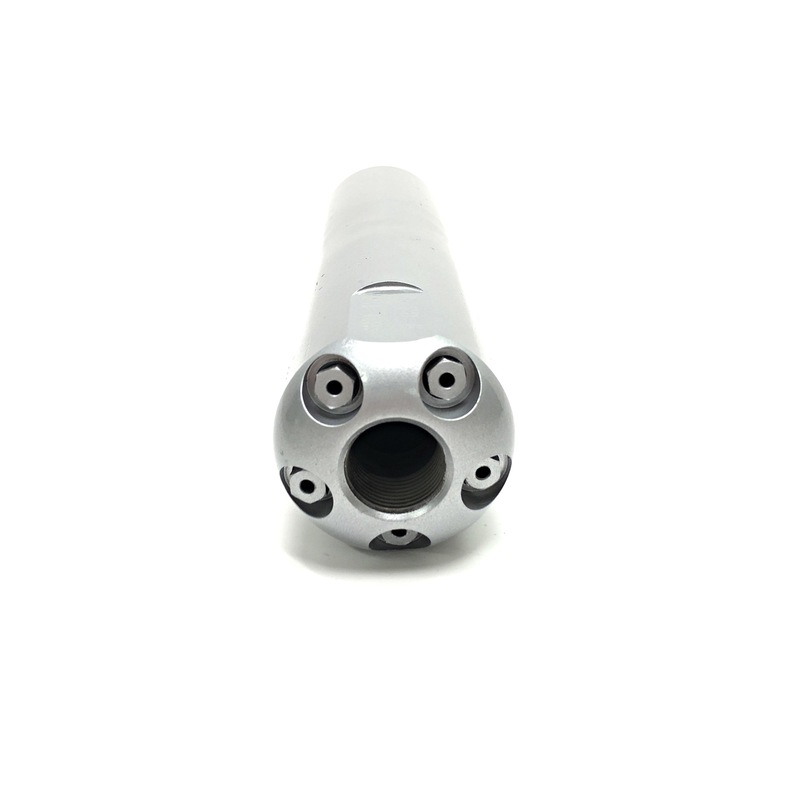 The 3/4" Grease Nozzle by Shamrock is a smooth, streamlined nozzle designed to penetrate and clear blockages. 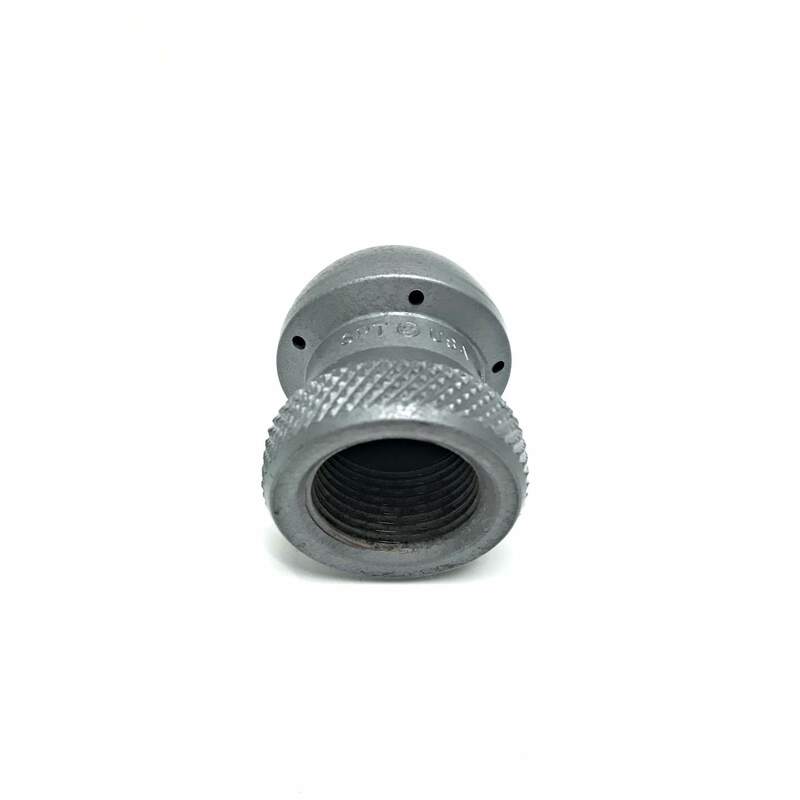 It is perfect for pipes with steeper grades. 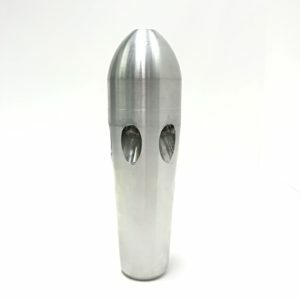 The 3/4" Ultimate Penetrator by Shamrock is the original penetrating nozzle which combines high flow and weight. 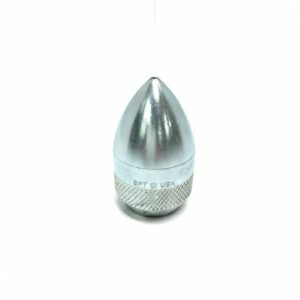 The 3/4" Super Grenade Penetrator Nozzle by Shamrock is a bullet-style, heavy-duty nozzle for mainline work used to break up obstructions. 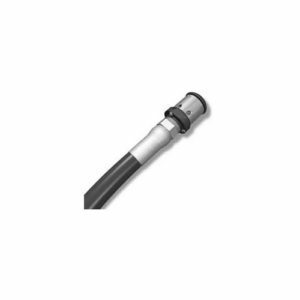 The 3/4" Universal Penetrator Nozzle from Shamrock is used to tackle root fibers, hard grease and other blockages. 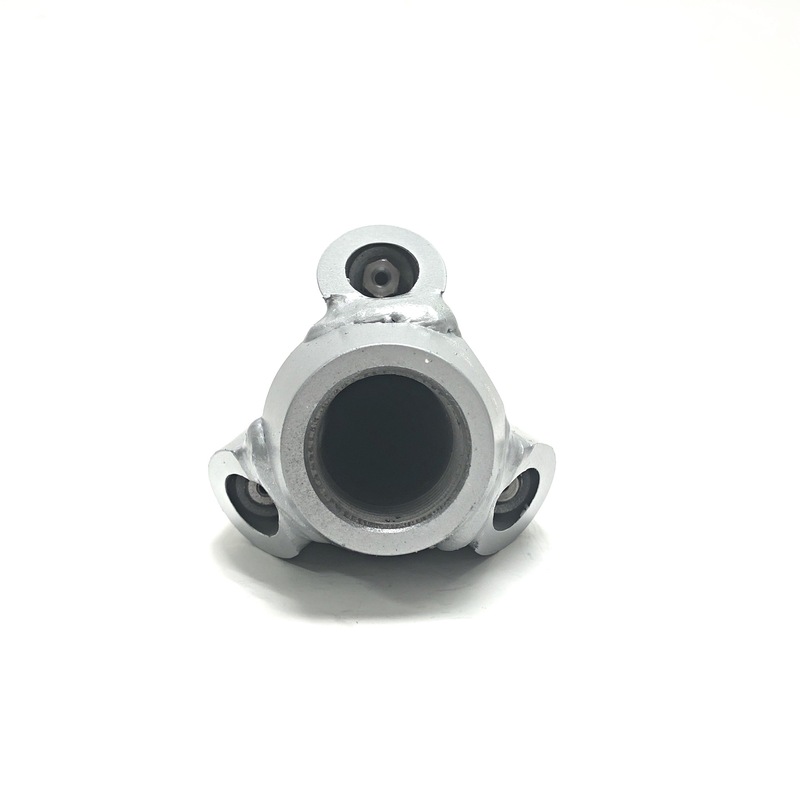 The 3/4", 1", 1-1/4" Radial Short Nozzle by Shamrock is a flushing nozzle with wide angle rear jets used to clean sidewalls efficiently. 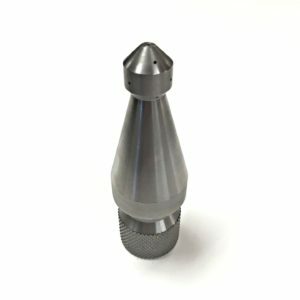 The 3/4" Radial Vortex Nozzle by Shamrock is a cleaning nozzle which uses different jet angles for a more efficient scrubbing action. 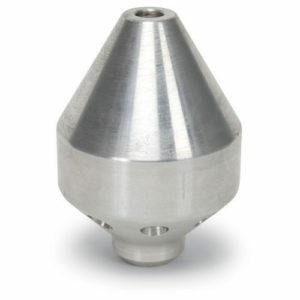 This slow precision nozzle has internal dampening fluid to provide a controlled rotation.